Earlier today, Voltage Inc. added a banner and link on the Top page of the My Forged Wedding: PARTY app allowing users to register early to play Be My Princess: PARTY. Doing so gives users to receive gifts for both My Forged Wedding: PARTY and Be My Princess: PARTY upon the latter’s release. For My Forged Wedding: PARTY, you will receive a Princess Hair avatar item. For Be My Princess: PARTY, you will receive 3 Gems, 5 Love Passes, and a special limited avatar item. Registration codes are only available one per app, per user. Make sure you save your registration code in a safe place, as they will not be automatically saved within the apps. When you register, you will be given a code that you can input in Be My Princess: PARTY, which you will then use after you have downloaded and installed it. It seems that the code to claim your My Forged Wedding: PARTY gift will be given to you after you’ve input the early registration code in Be My Princess: PARTY. Once both codes have been entered, your gifts will be sent to your Gift Boxes. Do make sure that you claim and accept them from your Gift Boxes before the expiration date. Both apps must be installed in order for you to claim your items. 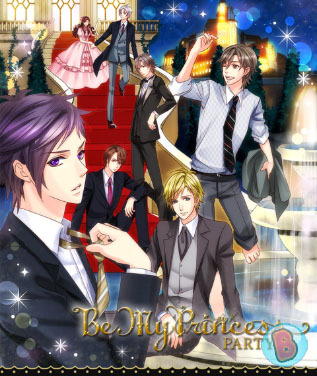 There has yet to be a release date for Be My Princess: PARTY, but its release is getting closer!